Just get in touch and we’ll find a time that’s suitable for you to pop down and chat with the other members. There’s no rush to join, we prefer potential members to familiar with the club and our diving before they commit to joining. We ask that new members bring their own mask, fins and snorkel (all which you can get online for around £20). The club can provide trainees with regulators, buoyancy jacket and air cylinders while training with instructors in the pool. Don’t forget that we dive in the UK, so when we dive in open water we’ll be wearing drysuits. Your membership includes options to train and dive with our club, and help and support for all divers no matter what diving experience they have. We also organise social events throughout the year and weekend or week long trips to various dive locations. 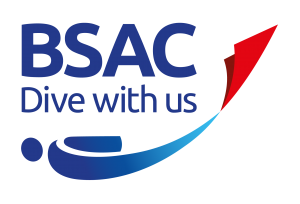 As a club member, you will also get access to a range of BSAC member benefits, such as special rates on travel insurance and holiday providers. BSAC will also send you a copy of their monthly dive magazine SCUBA directly to your door. We dive regularly at Weymouth (where we keep our RIB), and all along the south coast from Dover to Plymouth. We also plan trips to other parts of the UK coastline, including Farnes Islands, St Abbs and Scapa Flow to name a few. For inland sites, we visit Stoney Cove, NDAC and Wraysbury which are great for training. You can read more info on these sites and others that we dive at on our website. I haven’t dived before, how can I get started? Just give us a call and we can chat about what you are looking for and advise as to how you could get started. Usually, this involves a try dive in our pool, which gives you a cheap way to try out scuba diving with no commitment.